My brother found this little beauty for me a few days ago. 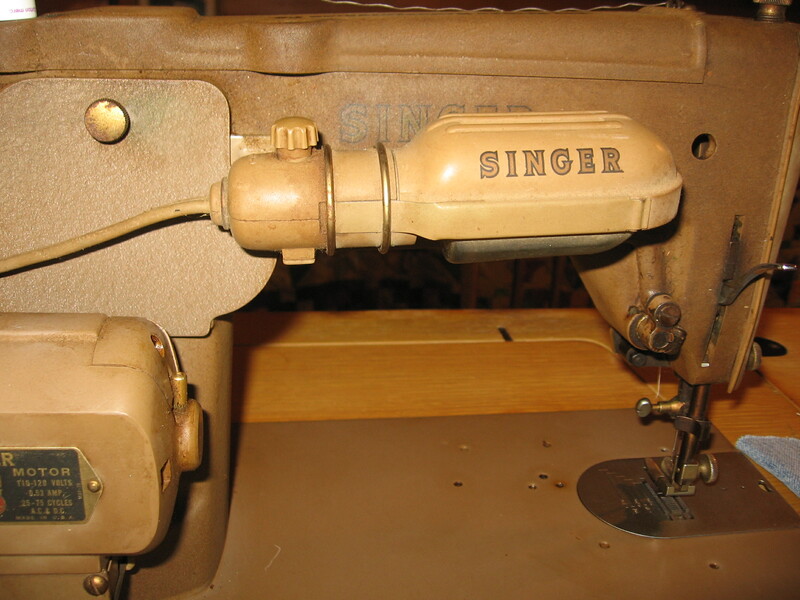 It is a Singer 306W, and works for sewing denim, canvas and leather. Seriously exciting. 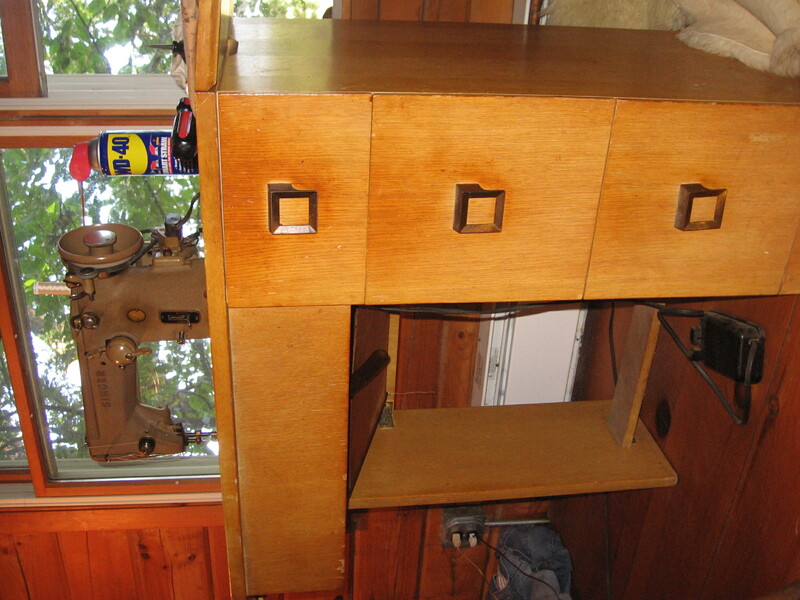 This particular machine was made in the 50s, and comes with a motor and light, and a nice little cabinet in good condition. Plus, it seems to be built like a tank. 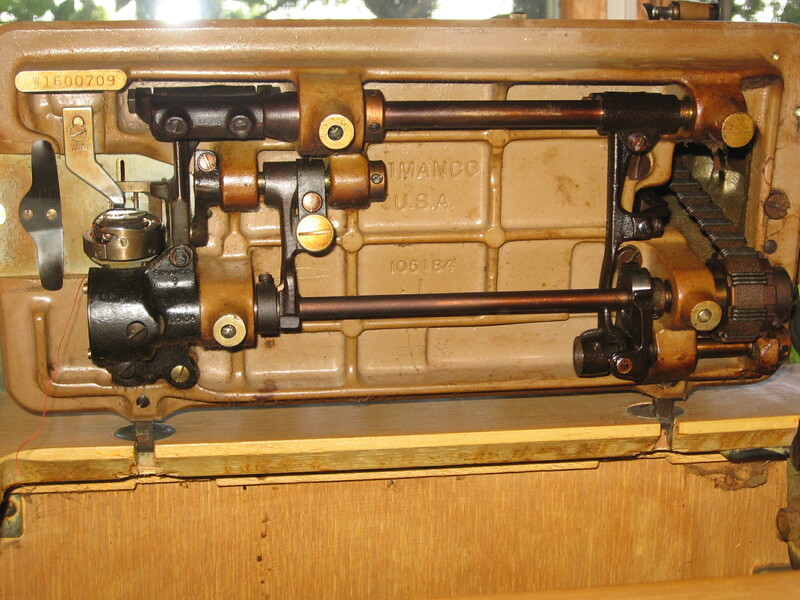 The motor is in good shape, and once I am able to tune it up (with help from my friend Pat) should run easily. 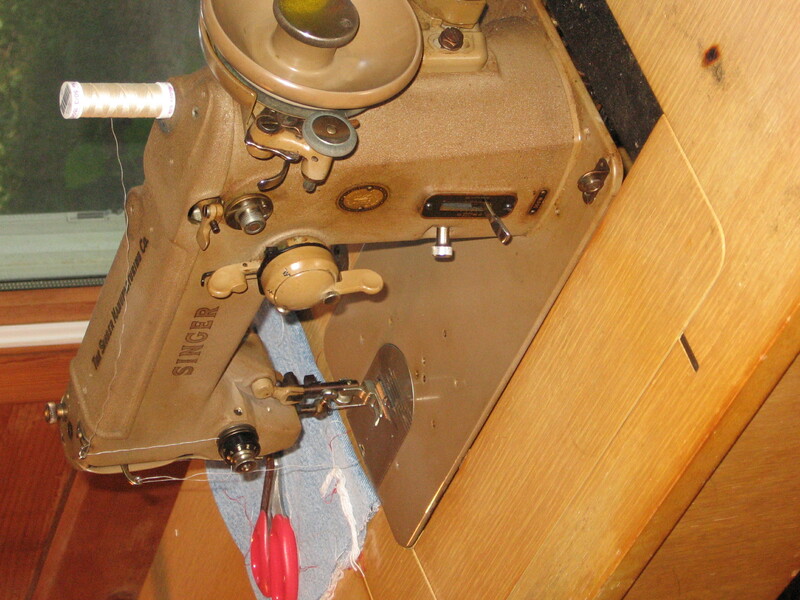 The stitch length/backstitch lever was frozen and we had to do a little tinkering with oil and wd40, but we got it working. The underside is pretty cool. The belt (far right) is in good shape, and all the parts are built to last! No plastic down here. The cabinet is in good shape. There are three drawers on the right hand side, and the machine folds down into the cabinet. Nice 306. I just acquired one of them myself and wanted to know if you would share any of your experiences with it? 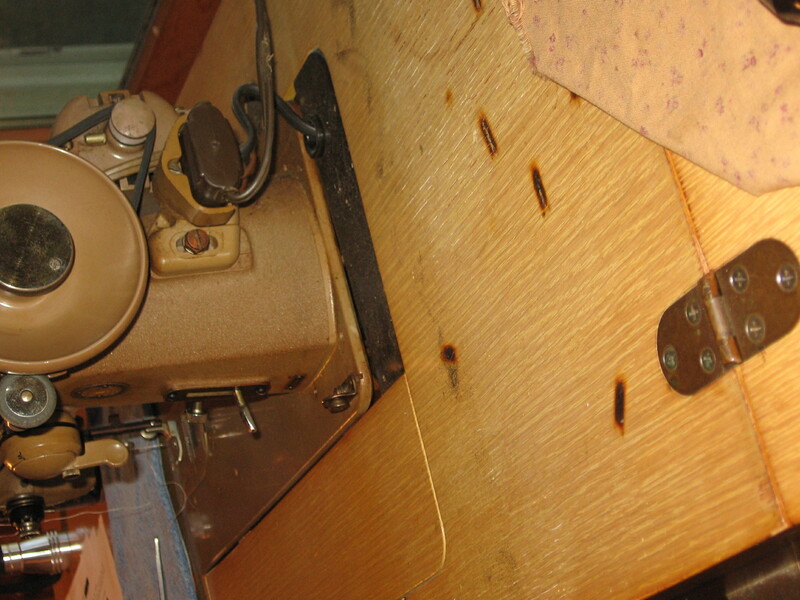 Also note that the 306 can be fitted to the treadle stand, and you can do Zig Zag and fancy stitches during your next power outage. 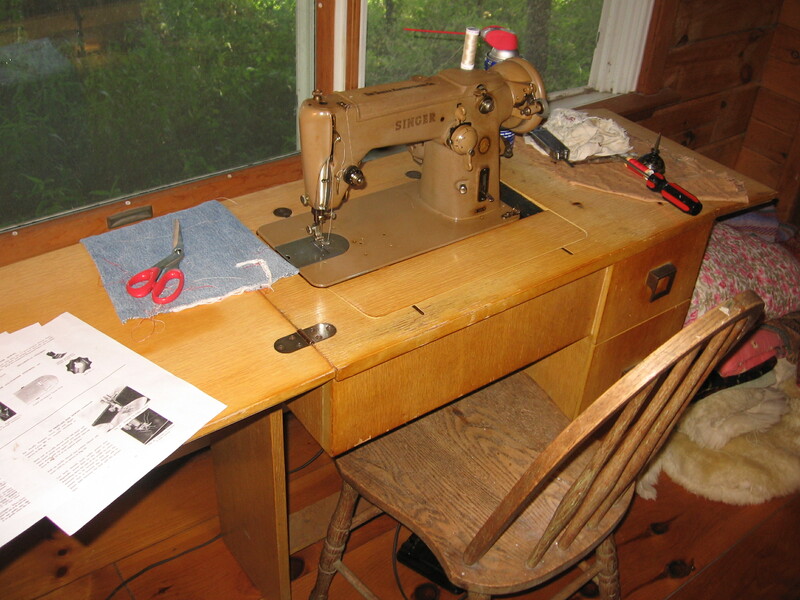 I also have a treadle machine with the ‘long Bobbin” like yours.. mine is a singer built in the year 1900. Make beautiful stitches, but I really wanted a way to “bar Tack” on my packs and tarps, So i think the 306 will take its place in the stand for now. I haven’t used my 306 much. I have some projects planned for it, but haven’t gotten to them yet. (I also broke the needle and haven’t gotten a new one!) 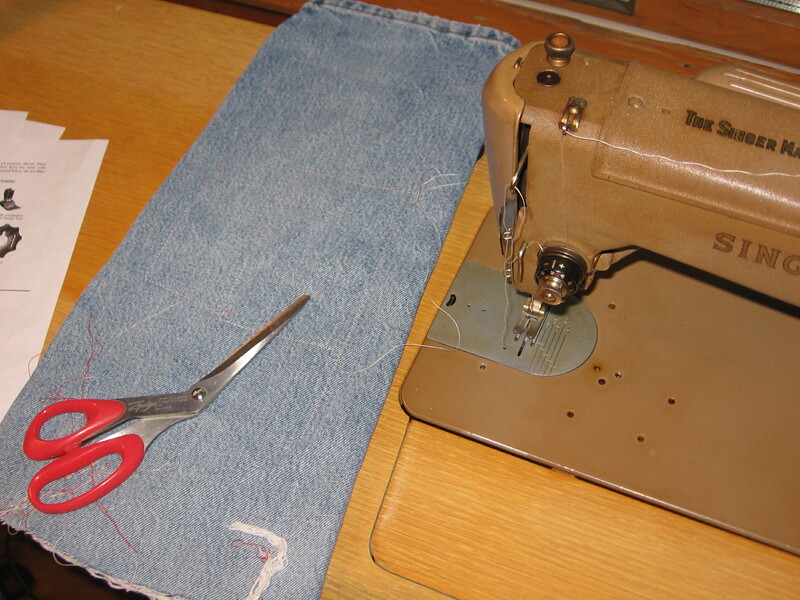 I had to to a bit of tinkering with mine in order to get the stitch measure working properly. I am still a little concerned as the machine does take a bit to get going every time. I am not sure if I need to use it a little more, or if there is some spot that needs some oil or work. Sorry that I can’t give you any more helpful information! Good luck with your machine!